About 90,000 white-collar retirees of Ford Motor Co. and the financial advisers who help them are facing a major decision: Continue to receive a monthly check from the defined-benefit pension plan, or leave the plan by taking a lump sum that the automaker will offer over the next 30 to 60 days. In what has been cited as the largest voluntary buyout in history, Ford said last month that it wanted to lighten its $49 billion U.S. pension obligation by offering nonunionized former salaried employees a one-time payment. The size of that payment depends on the number of retirees who choose it, but Ford thinks that its offer could reduce its U.S.-based pension obligation by about a third (or roughly $16 billion), Ford CFO Bob Shanks said during an earnings conference call last month. Shanks didn’t disclose information on the assumptions to be used to calculate payment size. 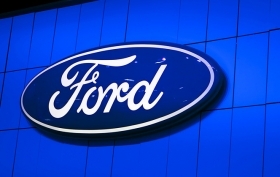 The key factor in determining how much Ford will offer is the interest rate that it will use to calculate the current value of retirees’ pensions. The Pension Protection Act of 2006 requires that 30-year corporate bond yields be used to calculate minimum lump-sum payments from defined-benefit plans. Using that yield, now at about 3.25 percent, would save Ford a considerable sum over using the rate for comparable Treasury securities, now about 2.8 percent. Pension plans were required to use the Treasury rate until this year. In the meantime, many financial advisers, especially those in Michigan, are preparing clients for what could be their most important choice in retirement. Considerations going into the lump-sum or payment-stream decision include individual and spousal life-expectancy assumptions, tax-planning issues, legacy plans and the fairly negative investment outlook most advisers see over the next five to 10 years. “The first conversation I’m having with these clients is making sure that they understand the transfer of risk,” said Wayne B. Titus III, founder of AMDG Financial Advisory Services in suburban Detroit, which manages $40 million in assets. “Ford bears the investment and longevity risk if the retirees leave the money there, but if my clients take the lump sum, they are transferring risk to themselves,” he said. “Health also is a huge consideration,” said Lynn M. Vance, senior partner at Global Financial Planning Group, a suburban Detroit firm with $150 million in assets under management. “People don’t understand that with a pension, they only own the income stream. If you take the lump sum and die in six months, then you’ve won,” she said. Generally, advisers suggest opting for annuitized income if the client is in good physical shape and has a family history of longevity. The lump sum might make more sense for individuals who haven’t been in the best health. Leon C. LaBrecque, CEO of LJPR, also in suburban Detroit, cited the case of one of his Ford retiree clients: a woman in her 60s, in remission from cancer, whose husband is in good health. His firm manages $420 million in assets. Another situation favoring a lump sum is one in which the spouse of a deceased retiree receives survivorship benefits. That payment stream ends once the surviving spouse dies, leaving nothing for any heirs. But if the survivor opts for the lump sum and invests it wisely, whatever remains after generating retirement income becomes part of the survivor’s estate. Making the choice of a lump sum or an annuity payment stream also carries tax consequences. For those under age 59 1/2, taking the lump sum and rolling it over into an individual retirement account means they cannot touch the money without paying a 10 percent penalty. Vance has a personal interest in the dilemma. Her 57-year-old husband, a Ford retiree, is among those being offered the buyout. The two are inclined to continue the payment stream, as they are using the income. Ford retirees who opt for the lump sum and roll it into an IRA should be aware of the tax implications that could occur if they make a large one-time conversion to a Roth IRA. “Advisers need to determine how much money they can convert from a regular IRA to a Roth without boosting the client into a higher tax bracket,” Titus said. He added that if a retiree is between 62 and 66, and yet to begin taking Social Security benefits, his or her income may be low enough to begin converting an IRA to a Roth with less of a tax bite. The conversion only makes sense, however, if the client has enough money to live on and expects to pass the Roth account onto heirs, as the Roth account should be invested for growth, Titus said. Advisers opting to have their clients remain in the pension plan cite the safety of a guaranteed income stream in the face of a negative investment outlook. They argue that it is unknown whether the lump sum can generate sufficient principal to provide the 4 to 4.5 percent withdrawal rate that advisers estimate is necessary to maintain sufficient assets during retirement. “You can’t beat that rate with a Treasury ladder or with a single-premium immediate annuity,” said LaBrecque, who is suggesting to his clients that they keep their pensions. But choosing a payment stream has risks, too, advisers said. For instance, if Ford were to become financially unable to pay off its pension obligations, the Pension Benefit Guaranty Corp. could step in and continue paying the pension -- but probably at a much-reduced rate. “At the executive level, [the risk of insolvency] is more relevant,” said Jason Close, an adviser at Capelli Financial Services Inc. of suburban Detroit. About a dozen of his clients will be choosing between a lump sum and an annuity payment.